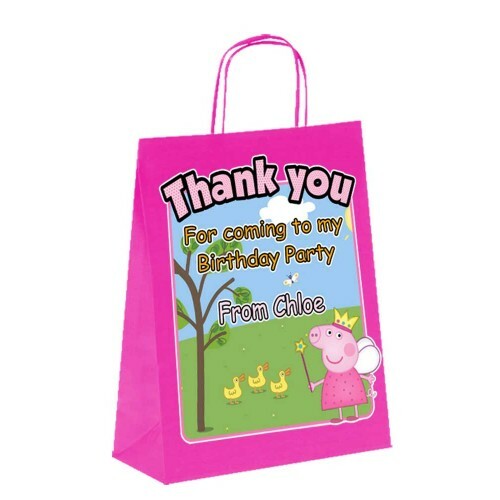 Personalised paper tote birthday favour bag (18 x 22 x 8cm) with twisted handles. complete the text area providing the birthday childs name (who from) as shown in the demo picture. 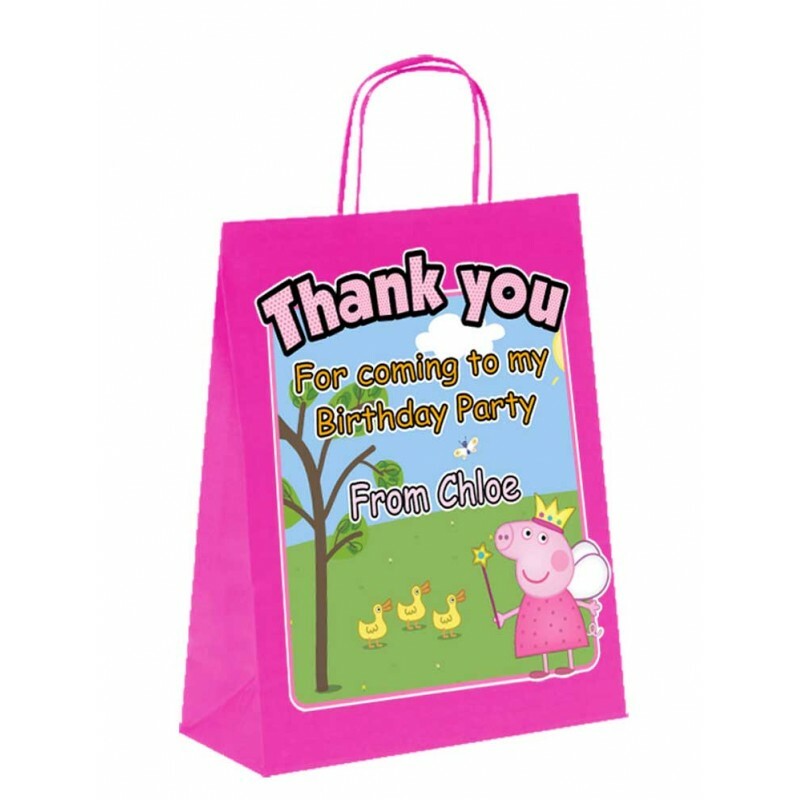 These bags complete that special day for you child.